Vianello takes out Gabriel in the 1st round. 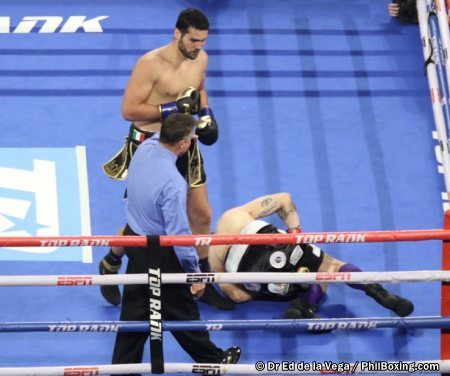 2nd fight, 6 rounds heavyweight: Italian Ex Olympian Guido Vianello (3-0-0, 3KO) of Roma, Italy stops Lawrence Gabriel (3-2-1, 1KO) at 48 seconds in the first round. 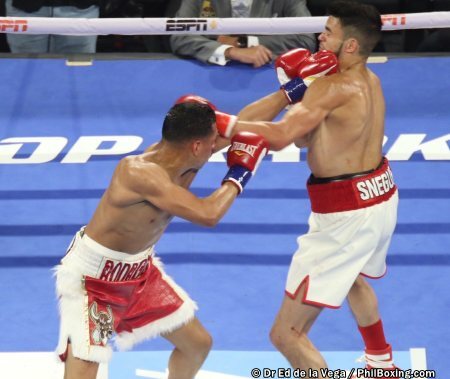 3rd fight, 6 rounds welterweight: Jose 'Ruben' Rodriguez (6-0-0, 2KOs) of Indio, California wins by majority decision over Ramel Snegur (3-4-1, 2KO) of Portland, Oregon. 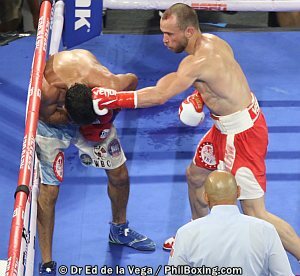 Scores: 38-38, 38-37 and 40-36 in favor of Rodriguez. 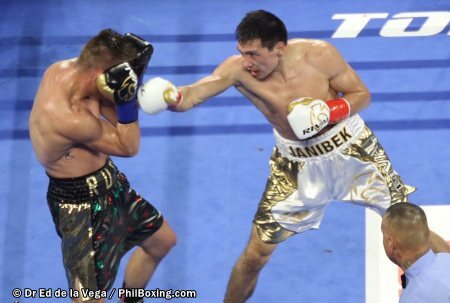 4th fight, 10 rounds middleweight: Janibek Alimkhanuly (6-0-0, 2KO) wins the WBC Continental Americas and the WBO Global Middleweight belts via unanimous over Christian Olivas (16-5-9, 13KO). Scores: 100-90, 100-90, 99-91.